A work permit is a document that determines the legality of work undertaken by a foreigner in Poland. Undertaking work in accordance with the law should be an important issue for both employee and employer. Any foreigner who comes to the country to work, should first of all take care of the legality of his stay. On the other hand, the obligation of an employer who hires a foreigner is to apply for a permit for foreigner to work in Poland. There are 5 types of work permits (type A, B, C, D, E). 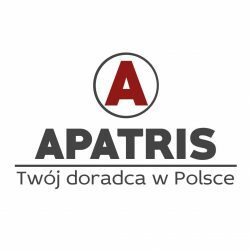 The most frequently used are A-type work permits, which apply to persons working in Poland on the basis of an agreement with an employer whose registered office is located on the territory of Poland. From 1 January 2018, the application form for a work permit and the application for extending the validity period of the document has changed. The application, which will be submitted in the wrong form or will not be filled out in accordance with the instructions, will not be considered. is a member of a foster family for a foreigner up to the age of 21. The work permit in Poland is issued for up to three years period. After the expiry of the validity period, the document may be extended. When a foreigner has a management position in a company that has more than 25 people, the permit may be issued for a period up to five years.